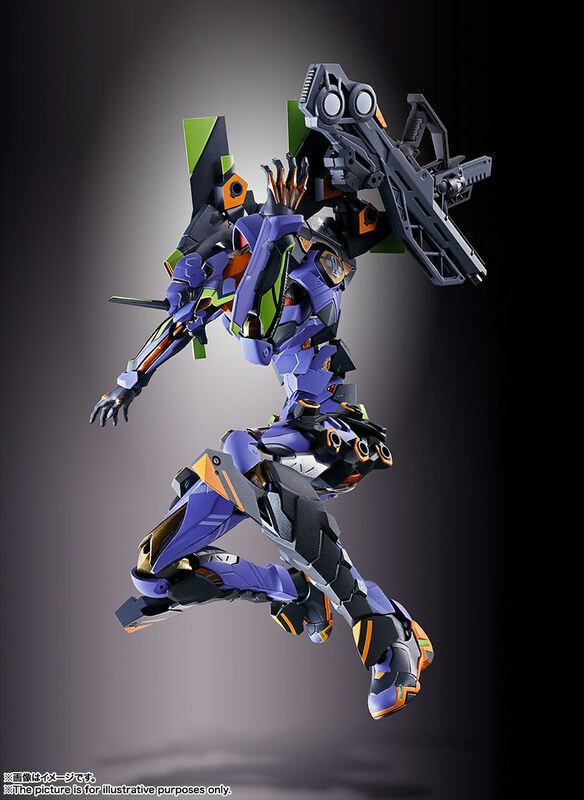 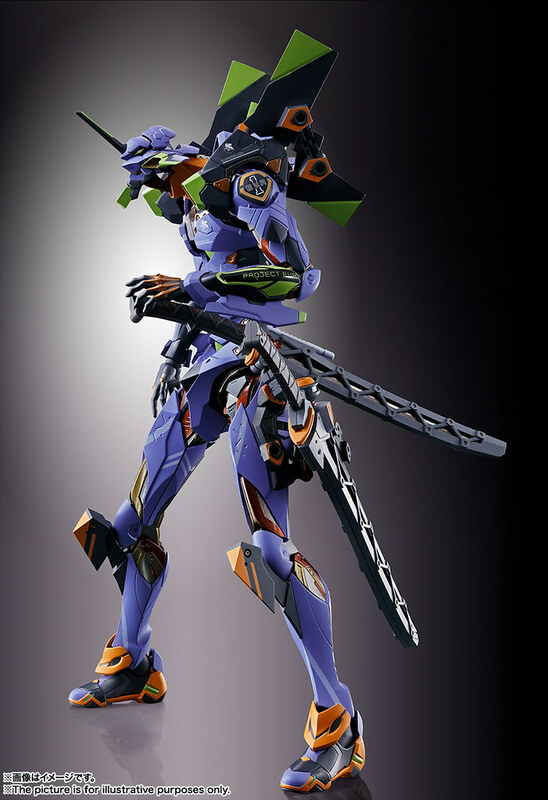 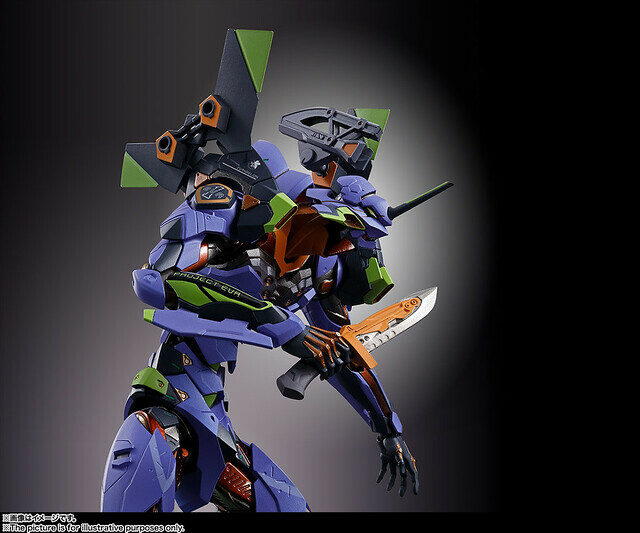 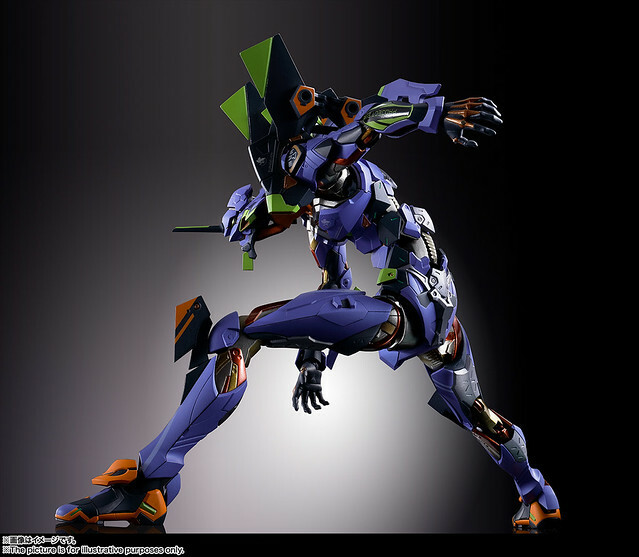 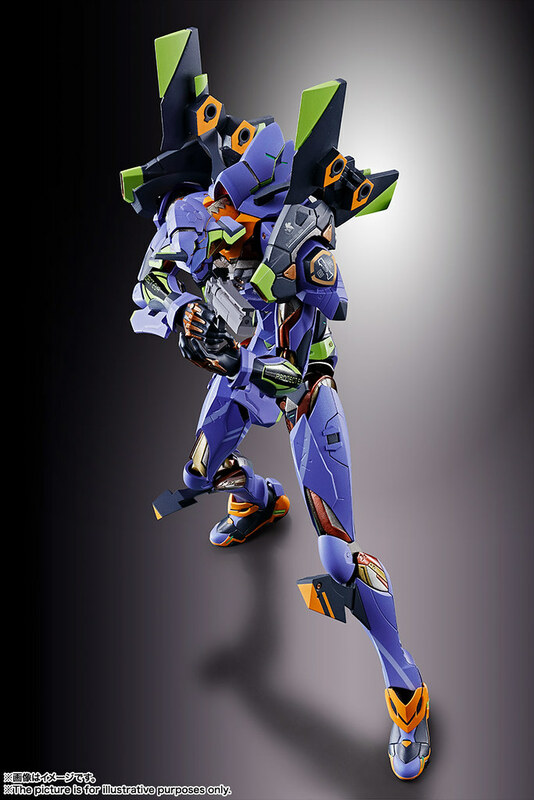 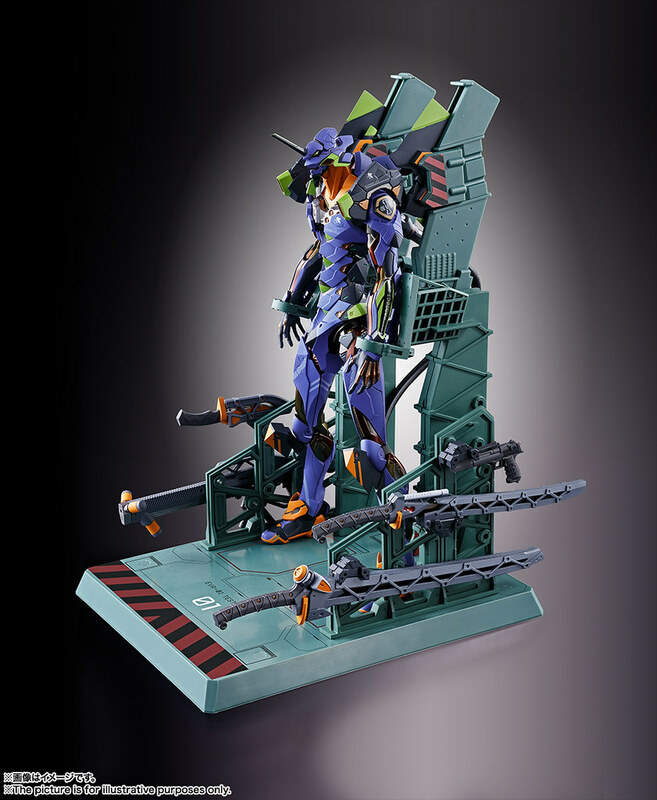 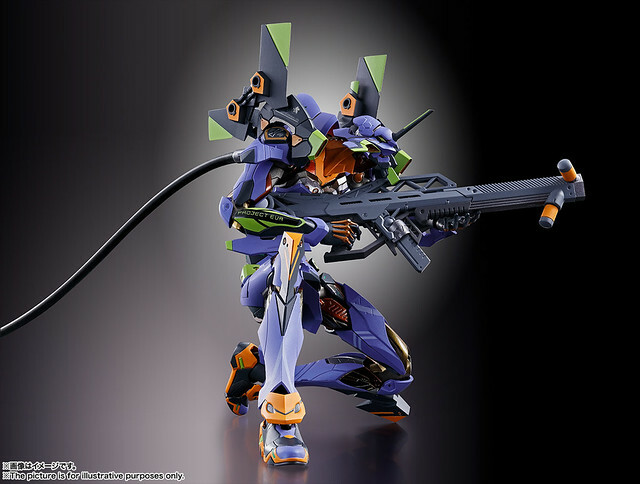 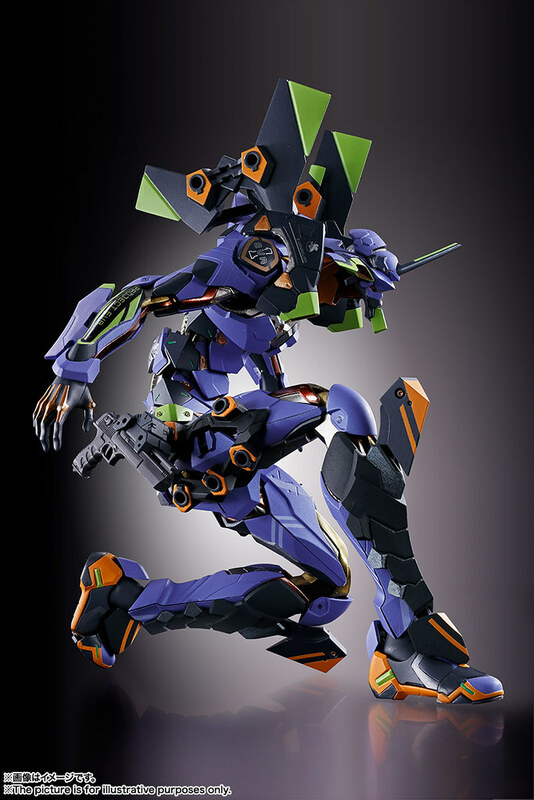 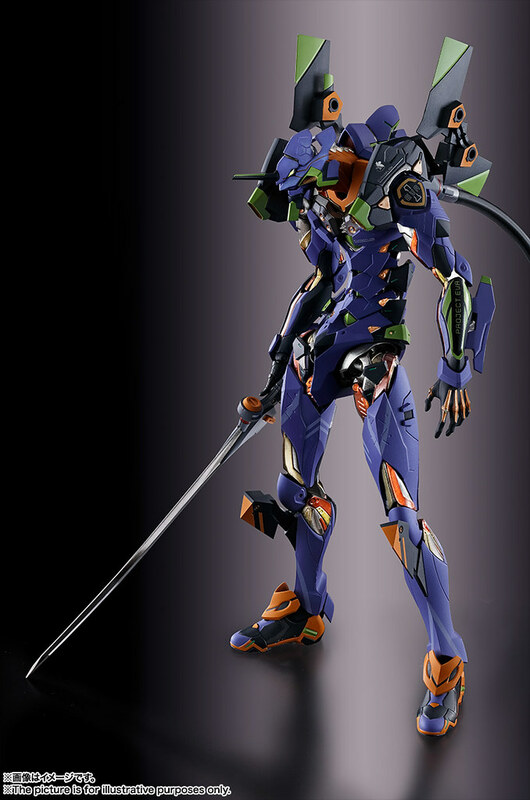 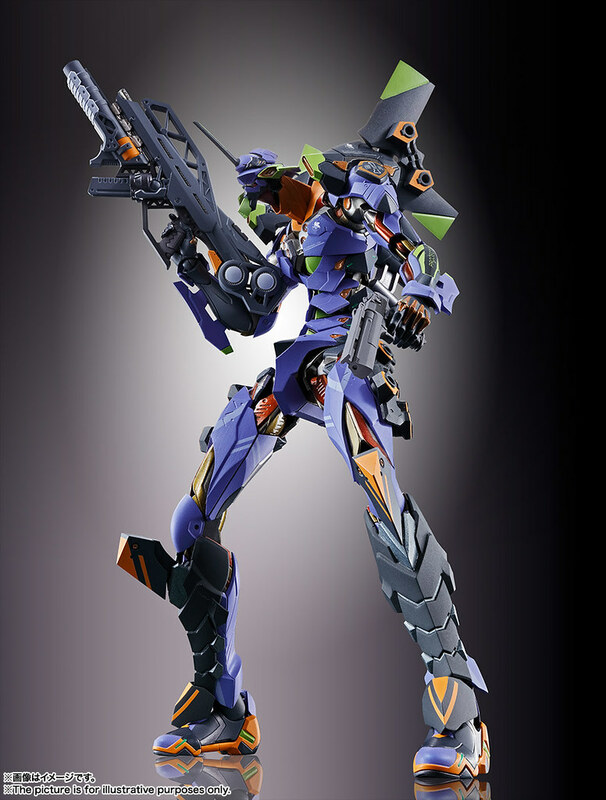 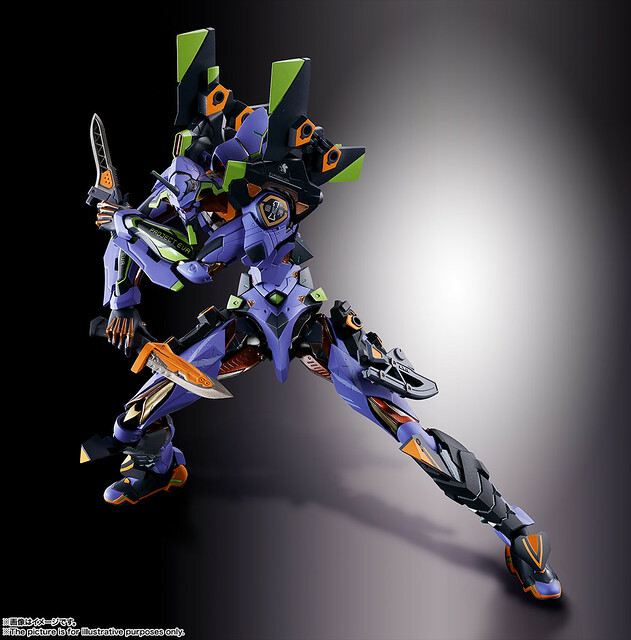 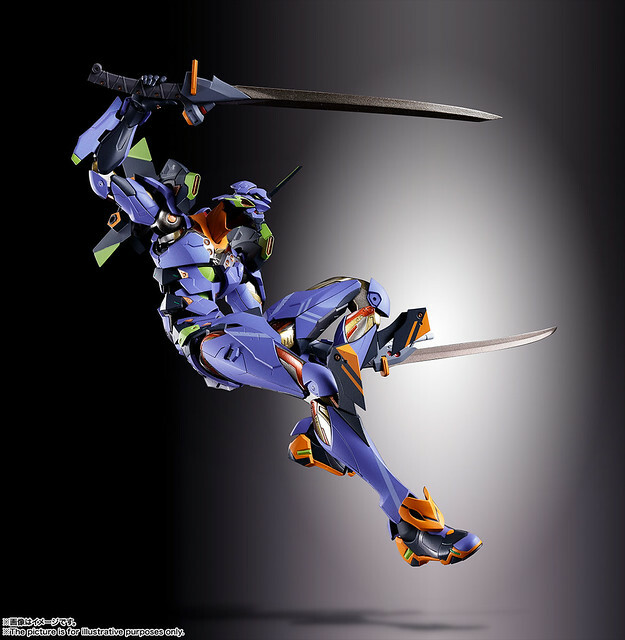 Publish by Japanese company Bandai Spirits' collectible division, combining ultimate design, flexibility, and metallic feel, METAL BUILD announced on the 24th of August the item EVA fans have long waited, METAL BUILD EVANGELION UNIT 01, estimate release February of 2019. 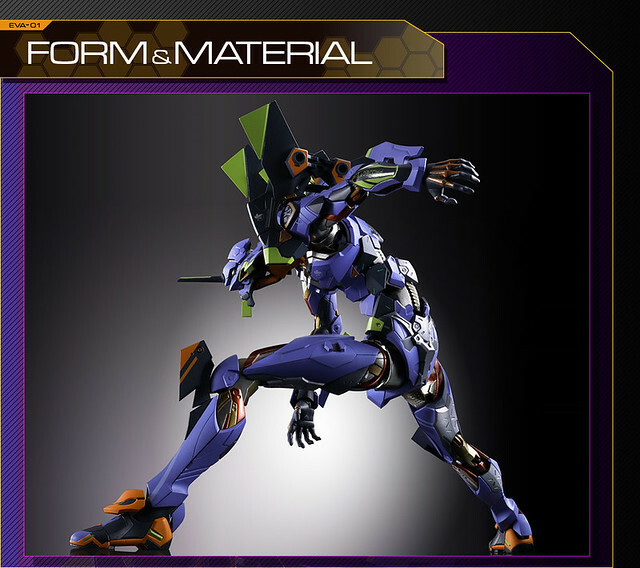 METAL BUILD EVANGELION UNIT 01 is designed by Ikuto Yamashita and unlike the pass EVA designs, it's conceptualized on "Gaint with Iron Muscle" idea combine with METAL BUILD series characteristic. 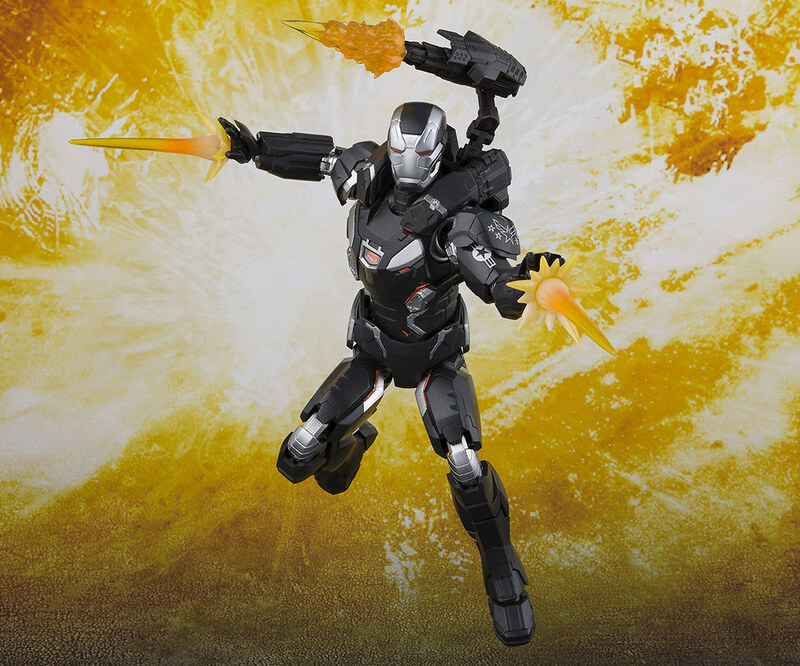 Elbow, hip, and knee use alloy material. 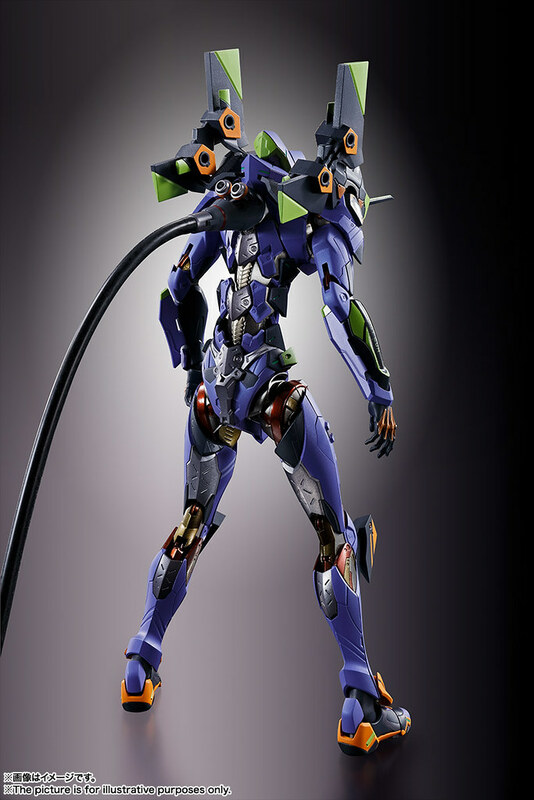 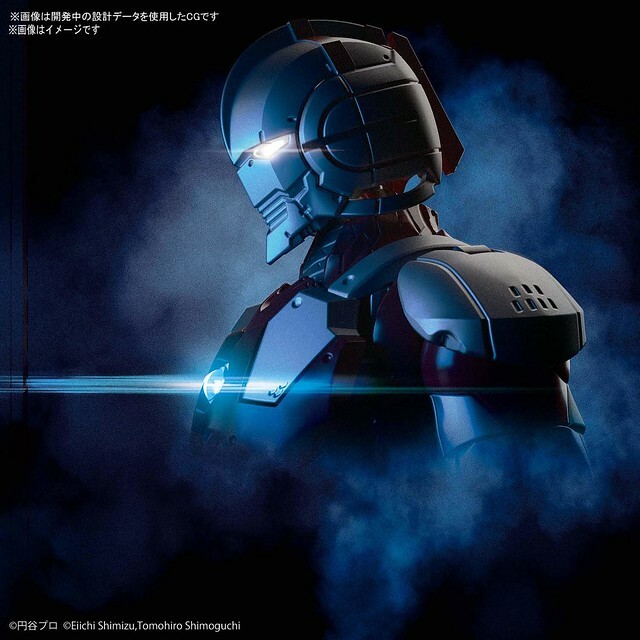 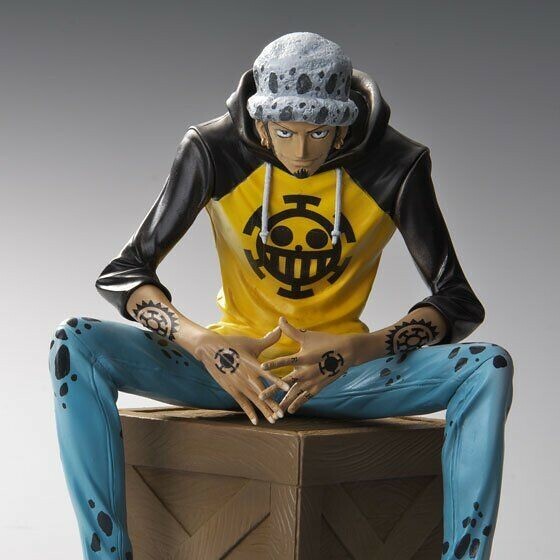 With detailed metallic paint, overall frame and muscle display mechanical metal form, as opposed to the biological being from the original. 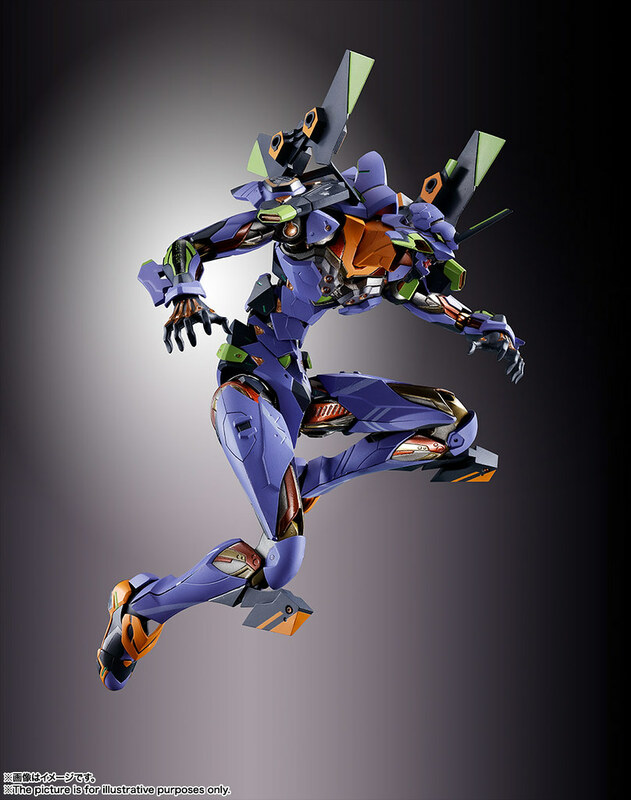 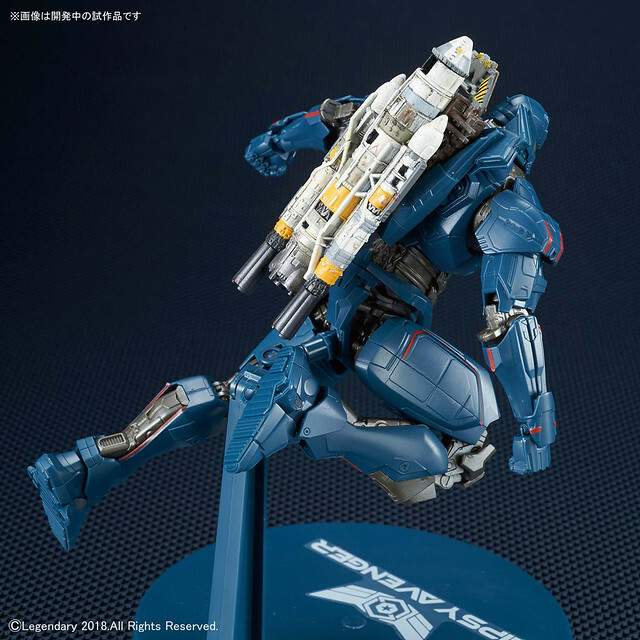 Joint structure is modified from the highly flexible Robot Spirit EVA series, the hip joint is a new design and the mouth moveable. 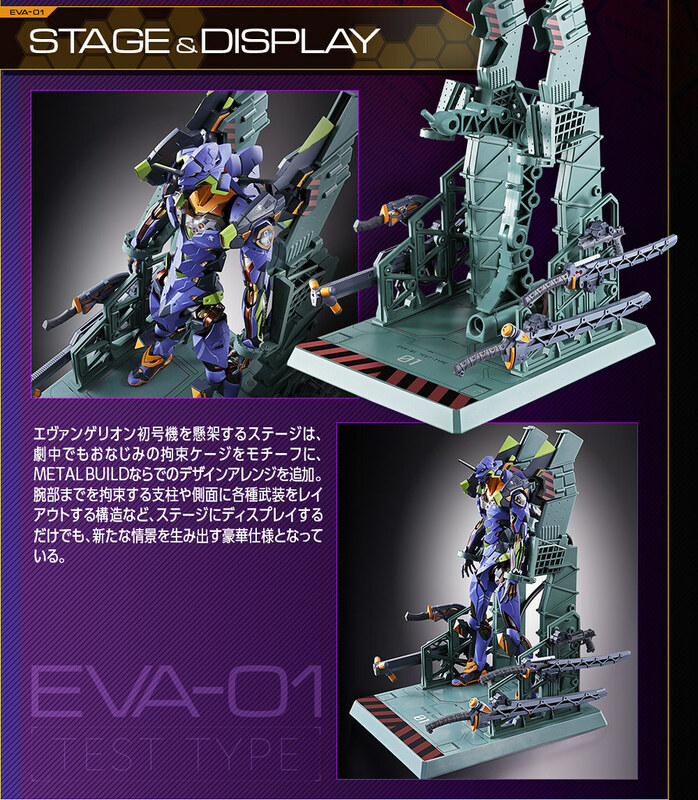 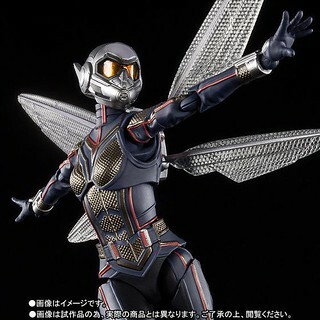 Exterior includes slide-down forehead plat to cover the eyes, waist hanger to make EVA feel more like a weapon. 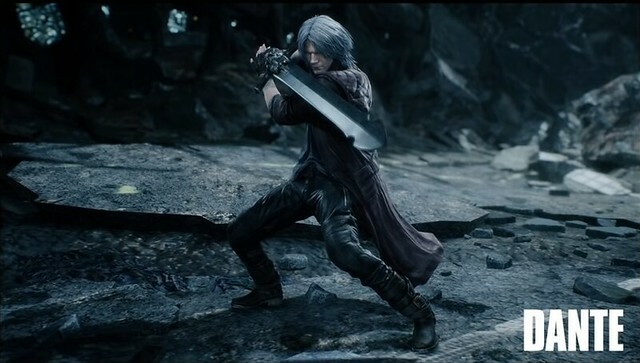 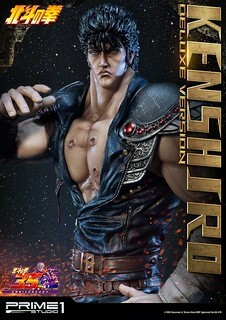 Blending hard armor, alloy joint, and complex design all in one, drawing the sword, sprinting, and Berserk mode all became more dynamic. 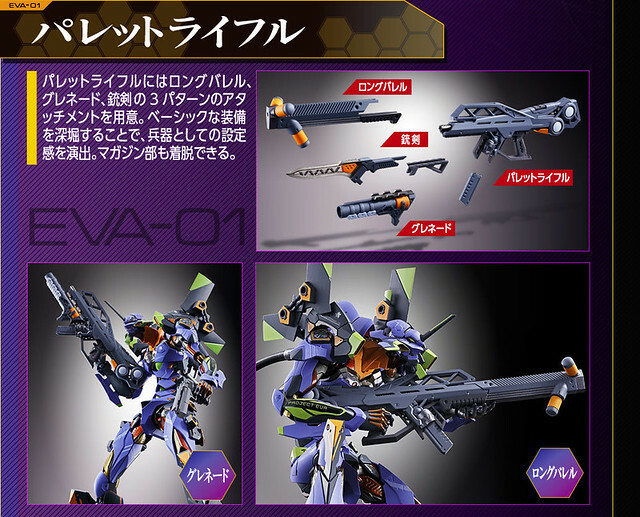 Weapons include Pallet Gun, Handgun, Progressive Knife, Magoroku Sword, Counter Sword, etc. 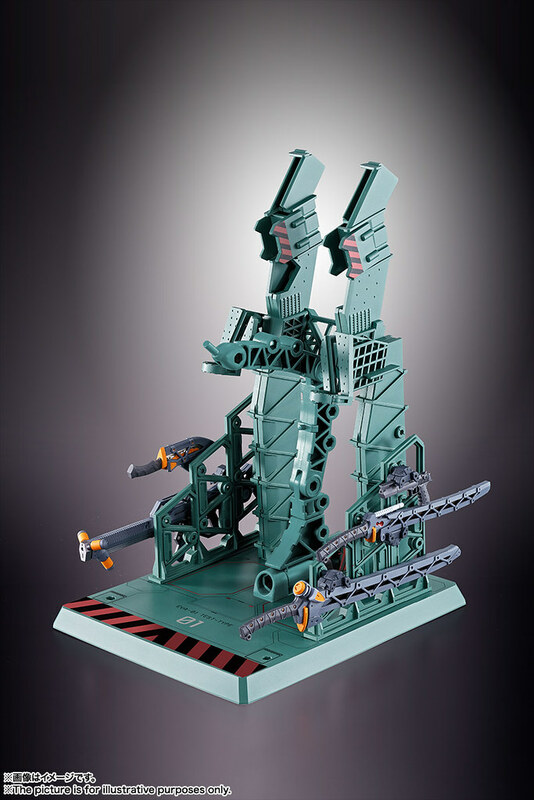 All can be stored in the hangar theme base. 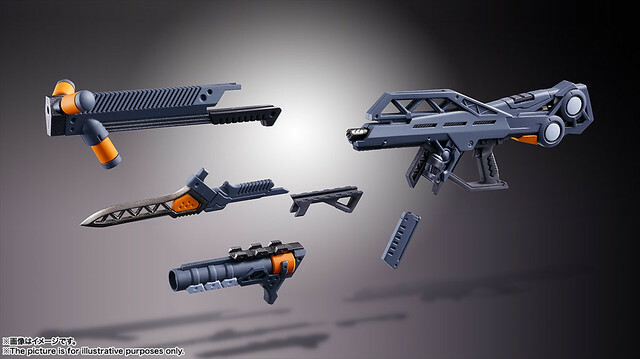 Choose what to bring on the next mission! 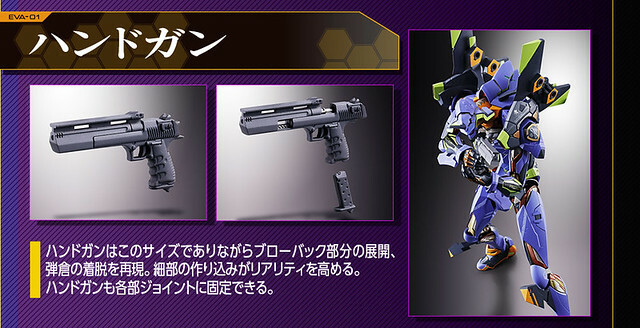 Clips are removable, with the long barrel, bayonet, and grenade launcher add-on. 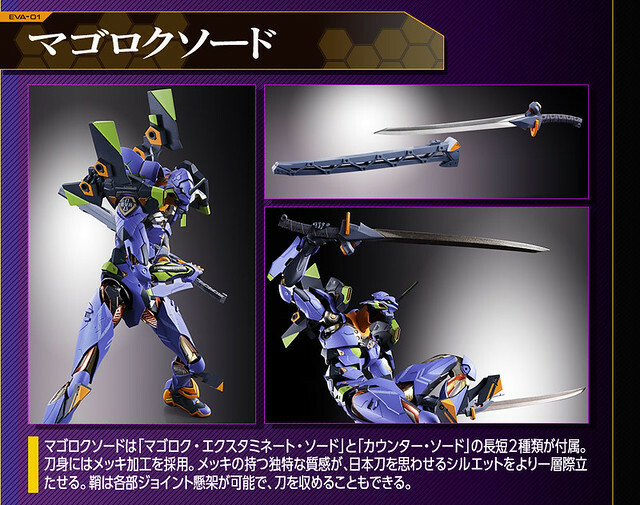 Including MAGOROKU E Sword and short knife "Counter Sword". 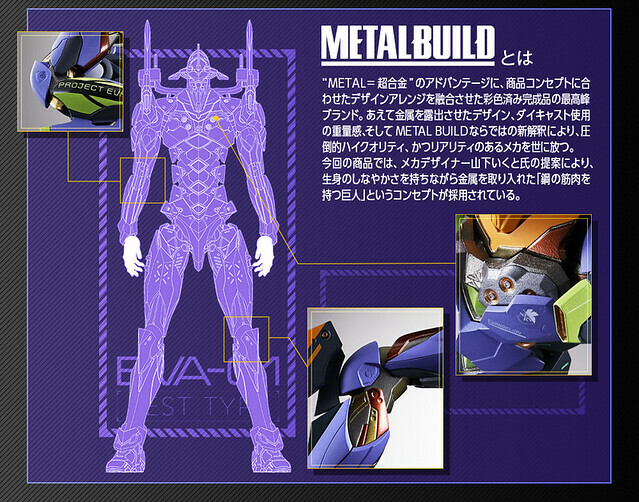 The blade is electroplated. 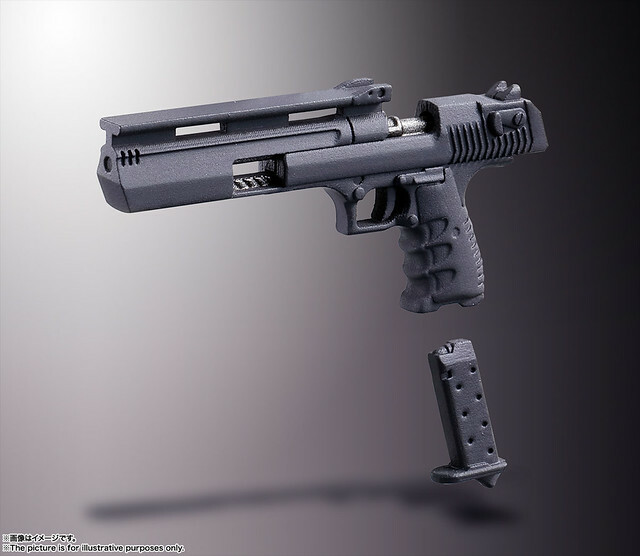 Highly detailed with the removable clip and movable slide. 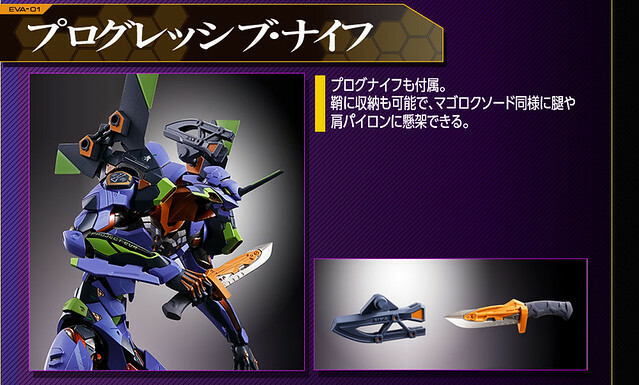 This time is stored in the sheath as opposed to the shoulder. 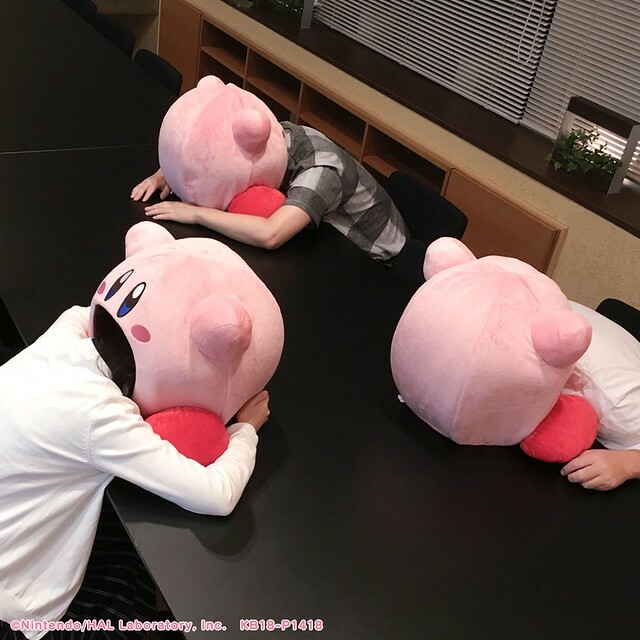 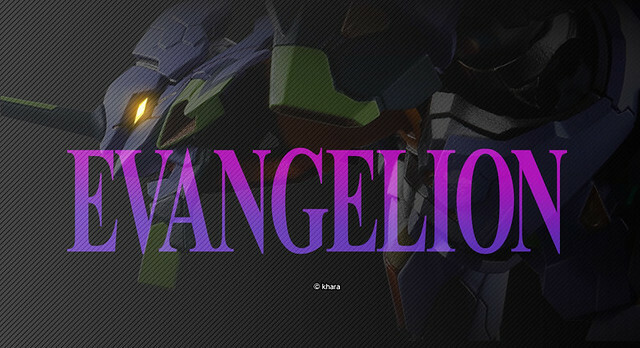 ▼ Evangelion: 3.0+1.0, estimate release 2020. 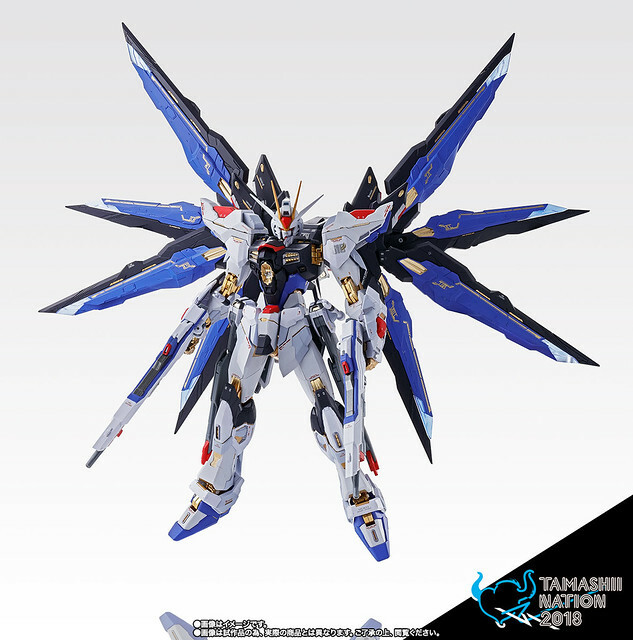 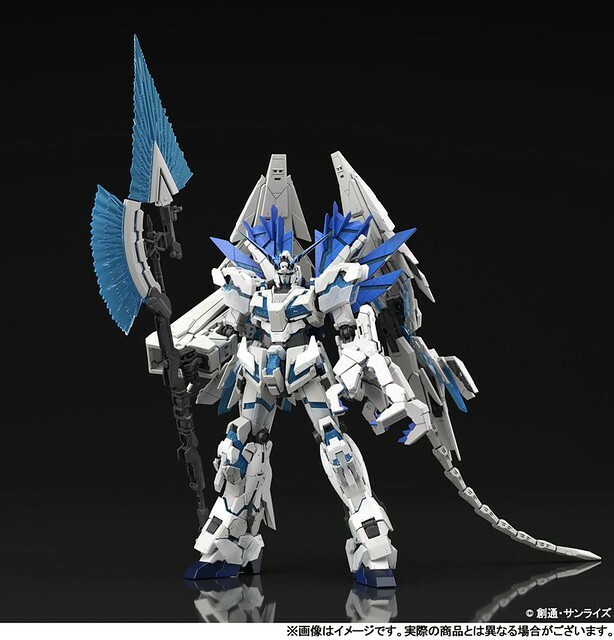 METAL BUILD Strike Freedom Gundam TAMASHII NATION 2018 Limited Color Announced! 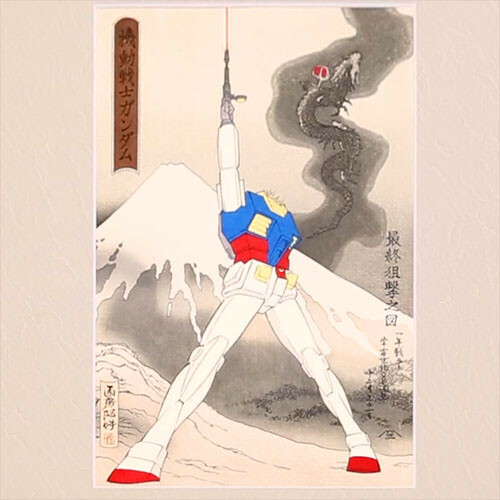 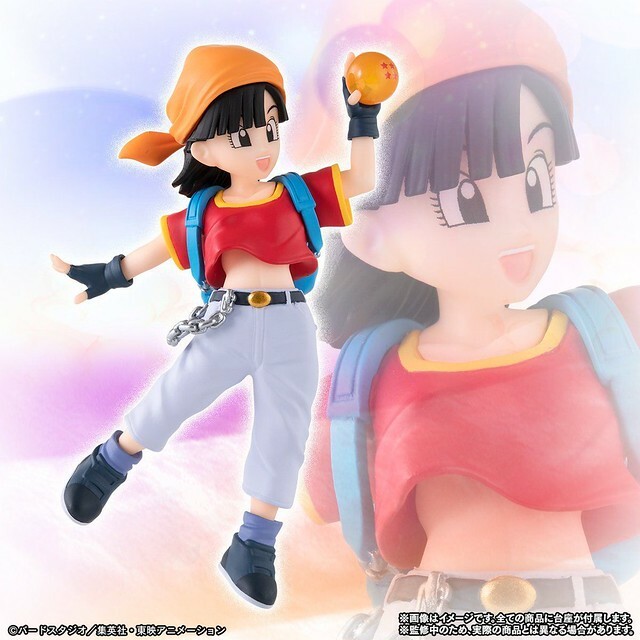 HG Girls《Dragon Ball GT》Pan Jumps to Action! 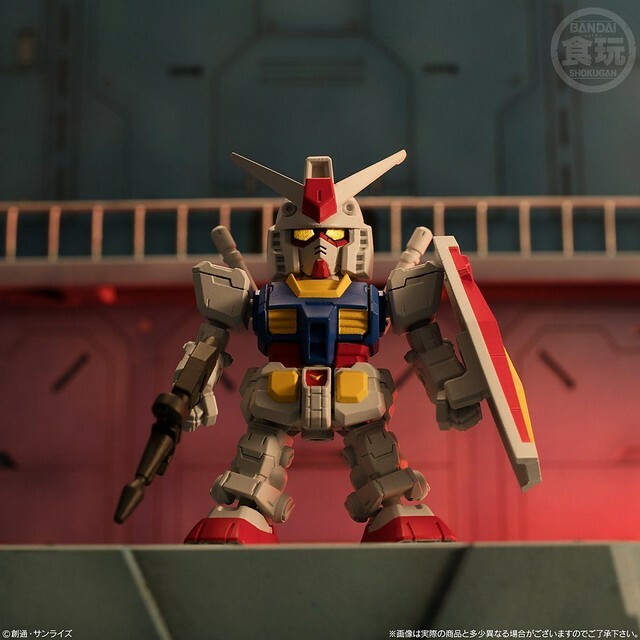 Dragon Ball Super DX Scouter Re-release! 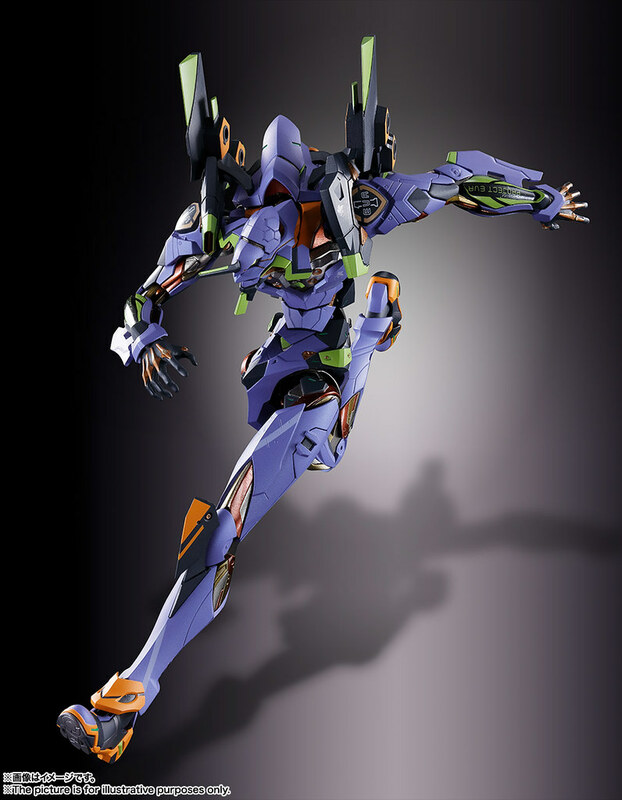 New Balance ×《Evangelion》FRESH FOAM CRUZ Unit-01, Unit-02, and Unit-08 Joins The Battle!